Tonsil stones, also known as tonsilloliths, occurs when cellular debris and food particles become lodged in the surfaces of your palatine tonsils. These lymphatic organs are located on either side of the back of your throat and are responsible for fighting pathogens and filtering lymphatic fluid. Individuals who do not maintain healthy oral hygiene routines are especially prone to developing tonsil stones, as the build-up of debris in the mouth can clog the surface of the tonsils. Your tonsils are covered by an external layer of pink mucosa, which contains pits and crevices that are commonly referred to as the tonsillar crypts. If food particles and other residues accumulate in the tonsillar crypts, they can combine with saliva and calcify into tonsil stones. Poor oral hygiene can allow oral microorganisms to thrive on accumulating food particles, increasing your likelihood of developing tonsil stones. To reduce your risk of tonsil stones and to lessen their severity, make sure that you are practicing an effective oral hygiene routine. Regular flossing and brushing can protect your teeth, gums, and throat from harboring particles and harmful bacteria. 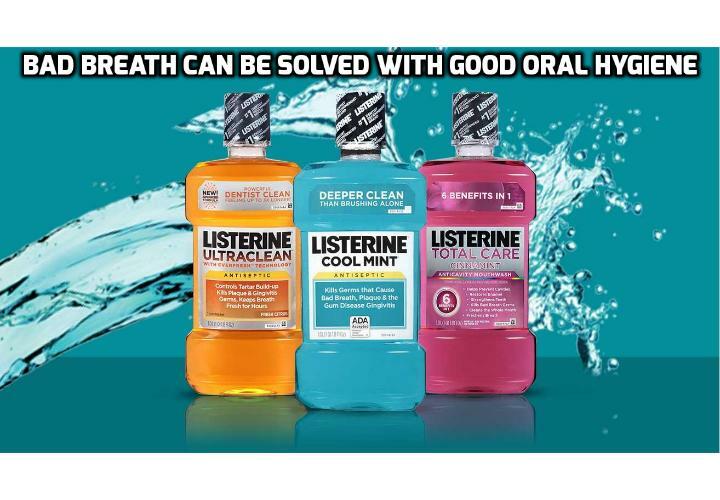 Switching to an antimicrobial mouthwash can help loosen and eliminate existing tonsil stones. Additionally, using a specialty mouthwash may also combat high levels of oral bacteria that contribute to tonsil-stone formation. Ultimately, eliminating the cause of a health condition like tonsil stones is the best way to reduce its effects. Implementing effective oral hygiene habits can limit your risk of develop complications related to tonsil stones, such as a chronic sore throat, earaches, swollen tonsils, and persistent bad breath. If you are concerned about tonsil stones or your oral health, see your family doctor or a dentist. He or she can examine your mouth and throat to determine the cause of your discomfort and to suggest potential treatments. If any tonsil stones are visible, your doctor or dentist may remove them with a swab or a pick. Additionally, your doctor or dentist can help you develop a healthy oral-hygiene routine of flossing daily, brushing regularly, and rinsing with an antimicrobial mouthwash. 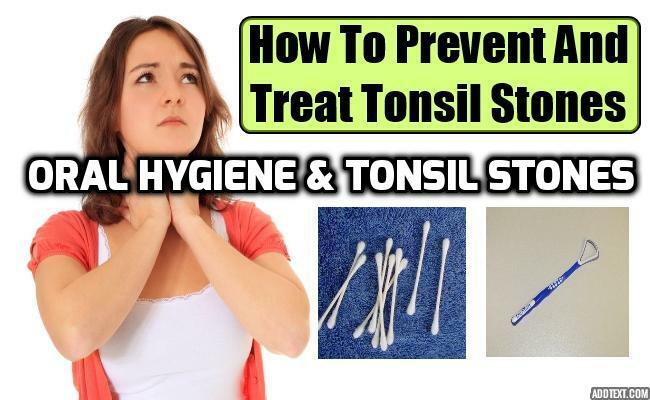 If these methods are not effective in reducing your tonsil stones, you may need to see an ear, nose, and throat specialist for further evaluation and possible surgery. Chronic bad breath, also known as halitosis, can be an embarrassing sign of poor oral hygiene. Certain foods, medical conditions, and personal-hygiene habits can all cause bad breath. Most of the time, you can combat bad breath by developing and adhering to a proper oral hygiene routine. If you suffer from bad breath, it’s important to review your oral hygiene habits. Although brushing is important, good oral health involves more than simply brushing your teeth each day. To promote healthy oral hygiene, brush your teeth, tongue, and gums with a fluoride toothpaste and floss at least twice a day, preferably after every meal and snack. Brushing and flossing removes plaque from the mouth to limit decay and odor, as residual plaque leads to tooth decay, gum disease, and other periodontal conditions. In addition to brushing and flossing, using an antimicrobial or fluoride-based mouth rinse can help combat odor and promote better oral health. Without an effective oral hygiene routine, foods and drinks with high amounts of sugar can become lodged in your teeth and cause bad breath. The chemical breakdown of certain foods such as onions, garlic, and strong spices can cause short-term odor in the mouth. Avoiding these pungent foods can often improve bad breath symptoms. Long-term odor, however, is often the result of residual food particles, which form a colorless, sticky film of sulfur-producing bacteria on your teeth. Your tongue can also trap bacteria on its uneven surface and contribute to odor production. Additionally, when dental fixtures like retainers or dentures are not cleaned regularly, they can harbor odor-causing food particles and bacteria. Cleaning all dental fixtures daily is an essential part of combating bad breath. To prevent or treat bad breath and other symptoms of poor oral health, be sure to schedule regular dental cleanings and exams with your oral healthcare provider. Contact your dentist if you begin to notice persistent bad breath, as he or she can help you develop a personalized oral-health plan to combat odor and ensure an effective oral hygiene routine. Why Prebiotics Are Really Absolutely Important for Health?